Scripting a Publication is useful for both Disaster Recovery and copying a Publication to a test environment. If you use the Wizard each time then you have to make sure that you’re consistent with the options and choices made in Live and once again on the Test (or DR) server. By creating the script you should get something that reproduces the Publication and Subscription in full. 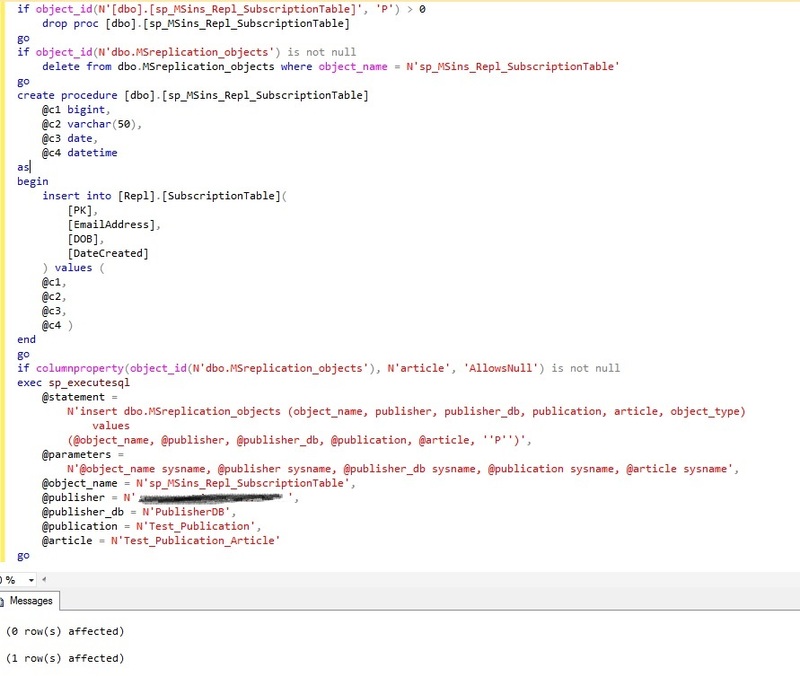 However, generating the script doesn’t always give you an exact copy of what you are scripting from. Some defaults might be included that weren’t used originally and some settings may be specified that were simply not used with the original creation. A couple of examples I can demonstrate using the Publication scripted in earlier articles (http://wp.me/p3Vxvi-3l), a more entertaining example using partition switching will have to be described. Specify where you want the script to go and it will be generated. 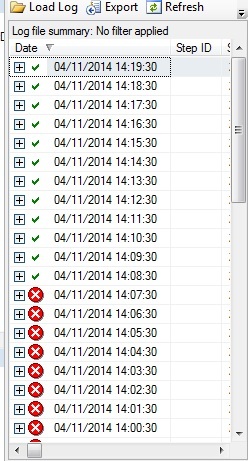 In this option I’ve chosen to have the script sent straight to a New Query Window. Now bear in mind that this Publication does not use a Snapshot. I never specified it when I originally scripted this publication. So what is this here for? If I’m going to use this script as a true copy of the original then I need to remove this entry. 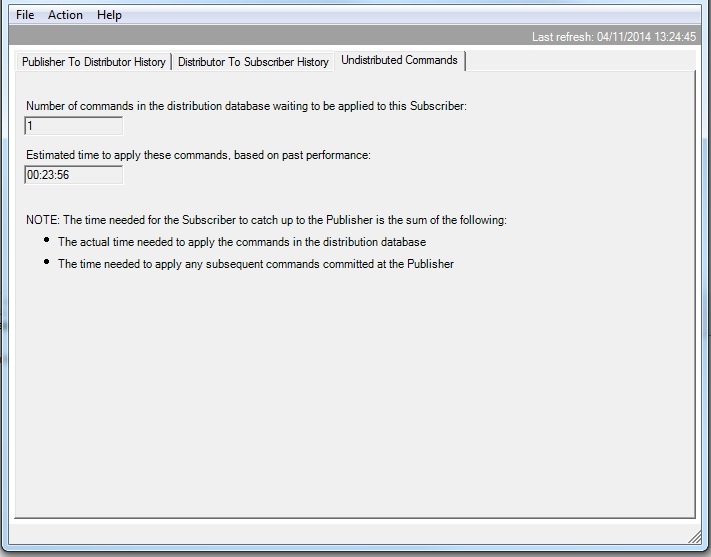 From the Subscriber, generate the Create Script just as with the Publisher, to a New Query Window. In this case I need that to be set to ‘none’. As an aside, in SQL Server 2000 this setting was also case-sensitive – ‘none’ wouldn’t work as expected, but ‘None’ would. I have no test example to hand with which to demonstrate this (at least, not one that I can show outside of my employer’s environment) but it is simple enough to describe, now that I know the cause and resolution. Several databases in use at my current workplace specify different partition schemes between the Publisher and the Subscriber. This is a common practice, particularly where the Subscriber might be a ‘staging’ database used to ultimately transfer data elsewhere. So the Publisher might keep data for a couple of weeks but the Subscriber only needs to store it for a day or two, because another system is being used to store/consume that data for other purposes (reporting, analysis or whatever). So, in my innocence I script the Publication and Subscription via SSMS, make the alterations shown in the previous two examples and create the Publication on a test environment. All is good and Replication works fine. Data that I insert into the Publisher appears in the Subscriber and I have that warm, smug feeling of having created a Publication without incident. Something to be savoured. 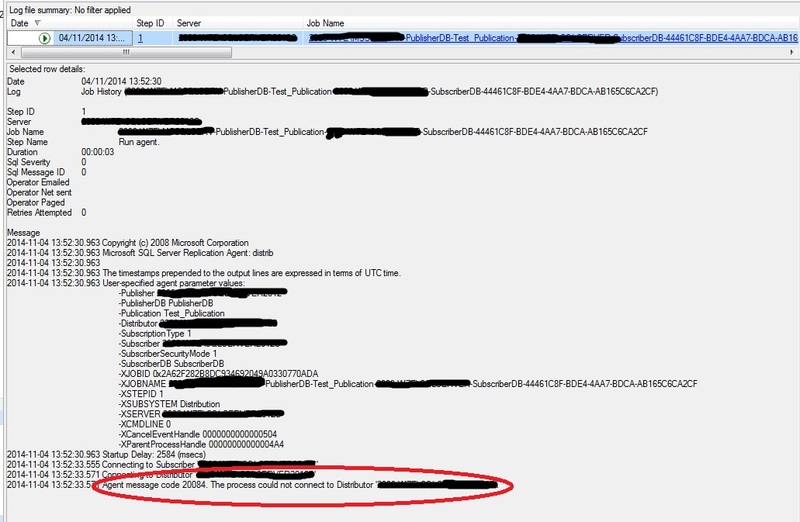 However, part of creating this test environment also includes setting up the jobs that purge the data in both Publisher and Subscriber, with the use of Partition Switching (for a basic example of Partition Switching, have a look at http://wp.me/p3Vxvi-3l ). “The table ‘<schema>.<tablename>’ belongs to a publication which does not allow switching of partitions [SQLSTATE 42000] (Error 21867)”. Just for a laugh, if you want to see just how many errors Replication can produce, go to https://technet.microsoft.com/en-us/library/cc645609(v=sql.105).aspx (and to add to the fun, they aren’t logged). After much digging around and asking others who have more Replication scars than myself it transpires that some settings aren’t scripted out and also aren’t found by any of the guid screens associated with Replication. In the past I have right-clicked on the Publication name, selected ‘Properties’ and looked at ‘Subscription Options’, believing that comparing these between the original and the copy would be enough. Ah, well. With the particular Publication in mind I scrolled along to the far right, and the setting for ‘allow_partition_switch’ was set to 0. As BOL specifies for this parameter – “Specifies whether ALTER TABLE…SWITCH statements can be executed against the published database”. 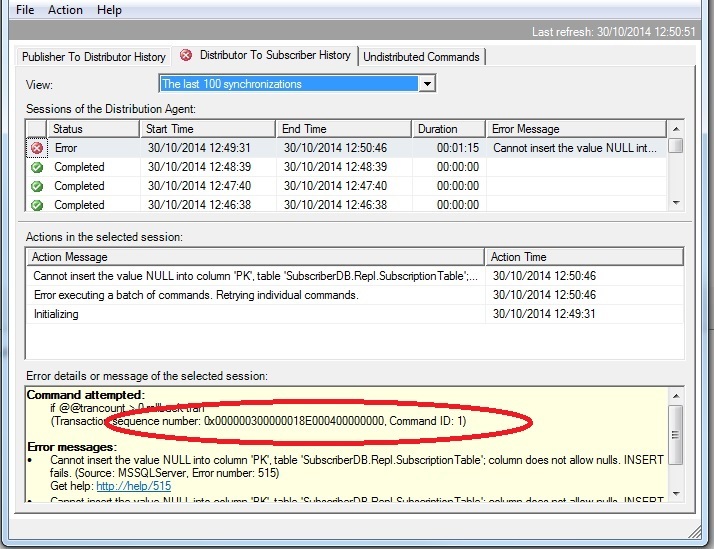 Executing ‘sp_helppublication’ against the Live Publication shows this value as ‘1’ – so it is permitted in Live but wasn’t scripted anywhere by the automatic process through SSMS. Having jumped through these hoops I now find that Partition Switching works fine and my Publication in Test really is a copy of the Publication in Live. 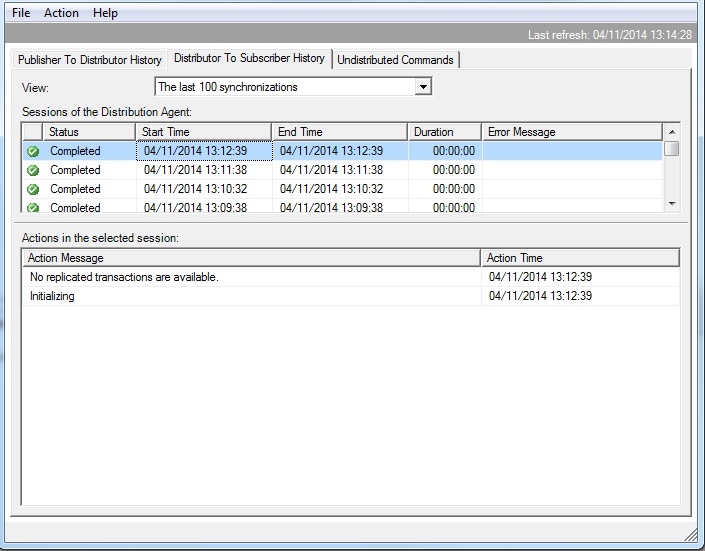 Having prepared the Distributor in the previous article it is now possible to create a Subscription. If you’ve used the Wizard to generate the scripts, the next command adds the publication snapshot. Where I work snapshots aren’t used because the databases are rather large and the lock such a command takes would make database access somewhat problematic for the hundreds of users that connect every minute. So we’ll skip the ‘sp_addPublication_Snapshot’ command and move onto the next step – granting access to specified accounts. A word of warning regarding the parameter ‘@sync_type’. Where I work, the use of ‘none’ is commonplace (because we don’t replicate schema changes automatically – we control it ourselves) and if you look at the documentation it is deprecated, so a better alternative is ‘replication support only’. However, when you generate the scripts from an existing Publication using the Wizard, you may find that the parameter has ‘automatic’ set against it – regardless of the value you initially created. Replication has lots of lovely surprises like that. A basic Pull Subscription has now been set up. In following articles I’ll cover how to test and monitor this, with basic steps on what to look for when it goes wrong. 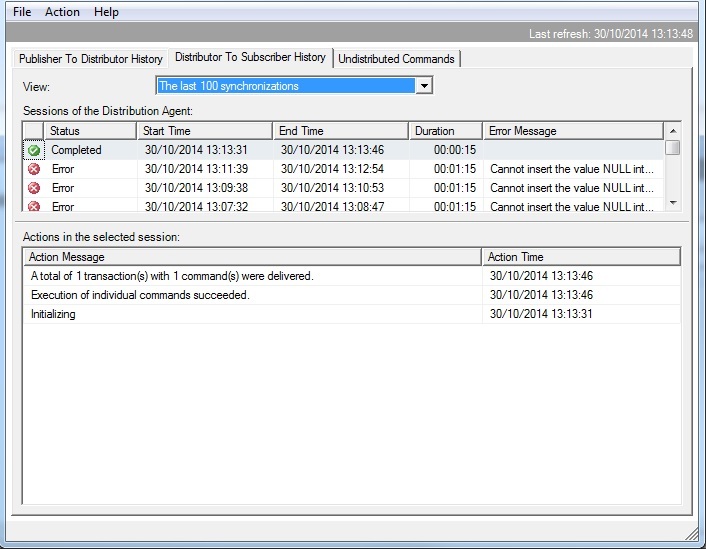 By far the easiest way to create the Distributor is via the Wizard and examples abound of that – one such example is at SQL Server Central http://www.sqlservercentral.com/articles/Stairway+Series/72282/ . Mainly for Disaster Recovery and consistency. Should you have to rebuild the server then running the scripts is easier and more reliable than re-running the Wizard – there’s less chance somebody can enter different values and therefore cause issues with the Replication. So, let’s have a look at the scripts behind this wizard. Currently none of these servers are configured for Replication. All instances were installed to cater for Replication but that is all. Firstly, make sure the Agent Services are running – it makes life easier and you will need them to actual perform the replication tasks. 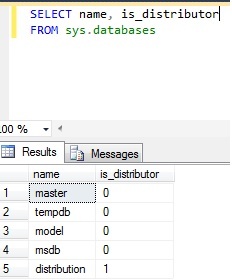 SQL Configuration Manager can be used for this. There are four scripts in the standard Distributor creation, gleaned from scripting the Wizard. All of these script are being executed on ‘Distributor-B’ and of course I’ve replaced the server name – I may well be working in a secure environment but there’s no need to tempt anybody. Having executed this code you will see an additional entry in sys.sysservers, giving ‘srvname’ of ‘repl_distributor’ and showing ‘dist’ as 1. 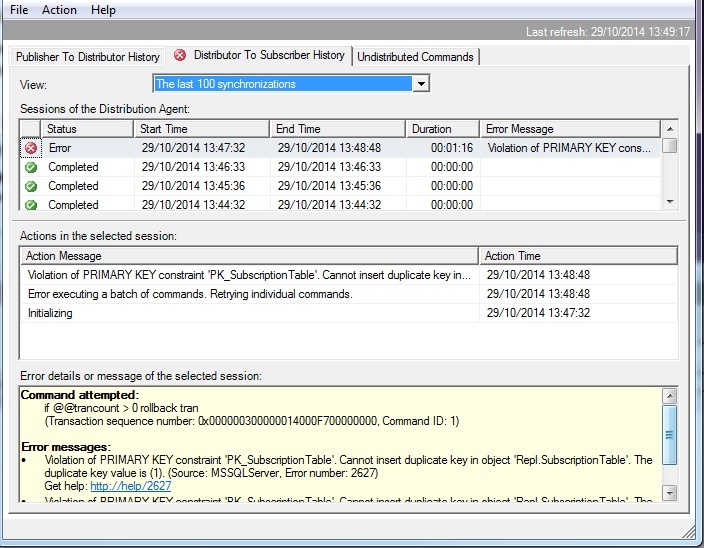 An associated entries under ‘Linked Servers’ within SSMS will also be visible. I’ve left the default name for the DB ‘distributor’ and in this case have left the other defaults too (retention periods and login). Notice that the locations needs a fully-qualified name. This will create an entry under ‘Linked Servers’ for the Publisher. The only response from this code is the usual ‘Command completed successfully’ message. Trying it a second time will tell you that the server is already listed as a publisher. Note: If you’ve used the ‘Configure Distribution Wizard’ to create the scripts, you’ll notice that the Distributor is also created as a Publisher. This step isn’t necessary for the configuration I’m using here. Now we have a Distributor created and can use that to build upon in following articles.